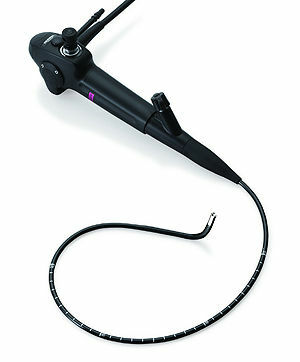 The electronic video bronchoscopes the 530 series has high performance. High quality images are realized with super CCD. The various endoscopes lineup for a wide range of applications. The 530 series Fujinon electronic bronchoscopes fully meets the needs expected in the endoscopic bronchial area. Incorporated with the leading endoscopic technologies, the series offers high quality images further enhancing diagnostic capability as well as high operability, insertability, and durability. The 530 series endoscopes are equipped with a miniature CCD chip developed exclusively for ultra slim endoscopes. Using RGB filtering, the chip also provides vivid colors in the red spectrum which are important in endoscopic diagnosis.